Hypnos beds and mattresses make the bold claim of being 'The most comfortable beds in the world' and for good reason. Hypnos beds are built with a commitment to quality and design that saw them voted Bed Manufactured of the Year in 2014-2015. Hypnos beds have been crafted for over 100 years and sinc... Read more >e 1929 they have held Royal Warrants, meaning that they not only demonstrating the highest standards in excellence, quality and innovation but the Royal family and household also use Hypnos beds in Buckingham Palace, Balmoral Castle, Windsor Castle and more. Hypnos beds are carefully designed and hand-crafted to ensure each bed and mattress is unique, with soft, breathable fibres and fillings that create a range of comfort levels. From luxury, to value for money, Hypnos beds and mattresses are the perfect solution. For a Royally approved bed, look no further than Hypnos. A 10 year guarantee comes as standard with all Hypnos beds and mattresses. Order your new bed online for free home delivery with Best Price Beds. 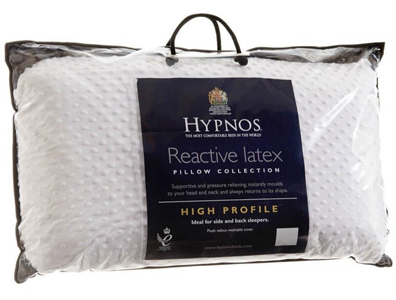 Please note we can supply any Hypnos bed or mattress from Hypnos current online catalogue available from their website or catalogues, please call for any other details.